Marine parks are good for fish – especially if they’re in the right areas. Marine park coverage of global ecosystems. Light grey: more than 10% protection; dark grey: less than 10% protection; red: zero protection. The lack of strategic planning in previous marine park expansions is a lost opportunity for conservation. We could have met international conservation targets long ago, with far lower costs to people – measured in terms of a short-term loss of fishing catch inside new protected areas. Marine parks protect fragile ecosystems, like coral reefs. Poaching plagues the world’s marine protected areas, largely due to a lack of enforcement resources. Fishers like the one above may be able to provide much needed surveillance and reporting, but care needs to be taken to ensure they are not put at risk in doing so. 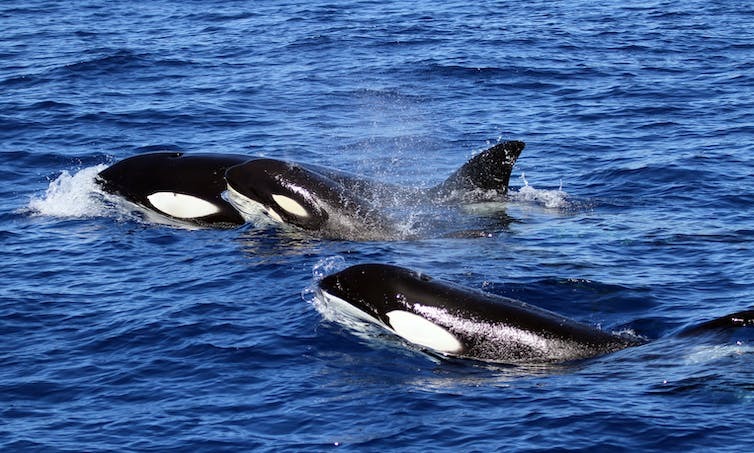 Orca family group at the Bremer Canyon off WA’s south coast. 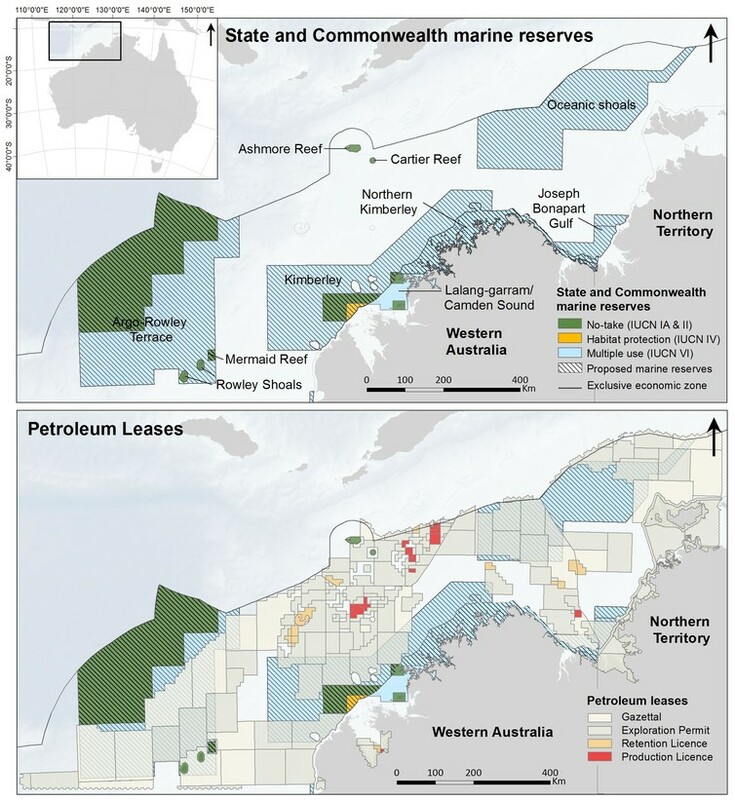 Coral Sea Marine Park zoning, as recommended by Independent Review (left) and in the new draft plan (right), showing the proposed expansion of partial protection (yellow) vs full protection (green). Zoning for the Gascoyne Marine Park as recommended by the Independent Review (left) and the new draft plan (right). 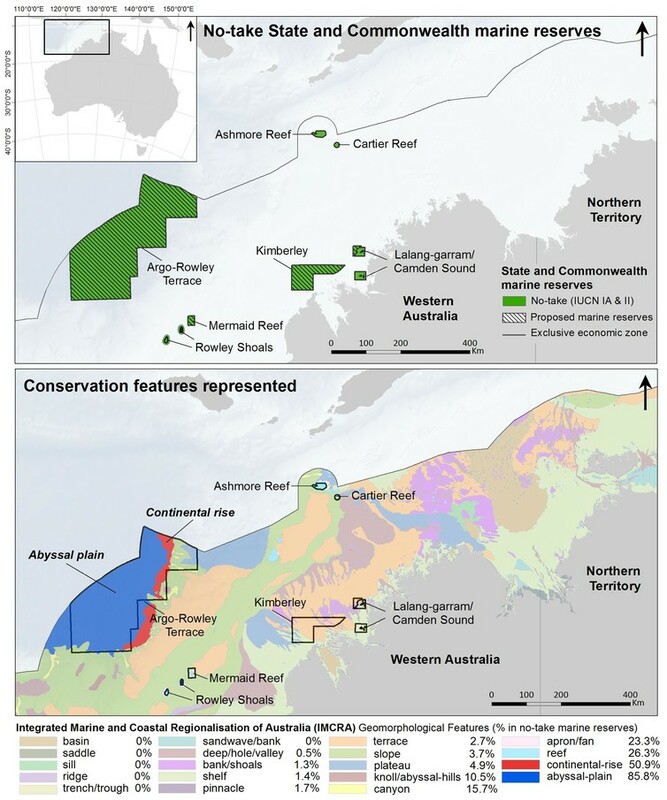 More of Australia’s oceans should be placed under high protection, according to the long-awaited review of Commonwealth marine reserves released yesterday. The review, launched in 2014 by then prime minister Tony Abbott, largely vindicates the original planning process. It recommends zoning changes to 26 of 40 reserves, and reductions to the area available to mining, while reducing the impact on commercial fisheries. 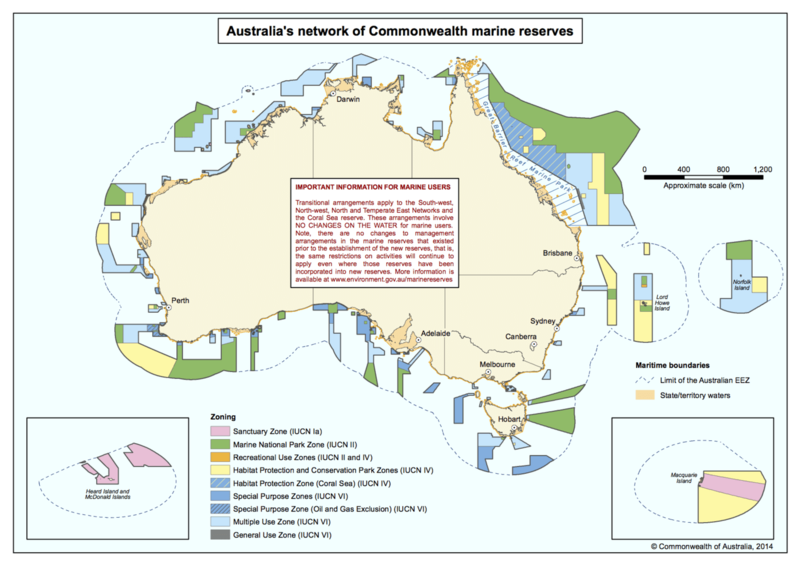 The Commonwealth marine reserves were meant to be an easy win for the then-Labor federal government when they were declared in November 2012. All are in Commonwealth waters, from three nautical miles (about 5.5km) from the coast to 200 nautical miles (370km). Their generally remote location meant that few people would be affected. Declaring the reserves fulfilled national and international commitments, a feat achieved by very few marine jurisdictions in the world. Australia was leading the way. The reserves were also hugely popular. A sophisticated social media campaign run by international and national environmental groups had harnessed massive public support, especially for the declaration of a huge, no-fishing (or “no-take”) zone in the Coral Sea. But criticisms of the parks emerged quickly leading up to and following their declaration. Predictably, commercial and recreational fishers protested the loss of fishing access. But some scientists also questioned whether these huge parks were the best way to protect our seas. These same concerns have been raised in response to the world’s largest marine park – the Papahānaumokuākea Marine National Monument in Hawaii, announced last week by US President Barack Obama. So in 2013 the incoming Abbott government suspended the parks’ management plans, making the reserves, at least temporarily, “paper parks”. 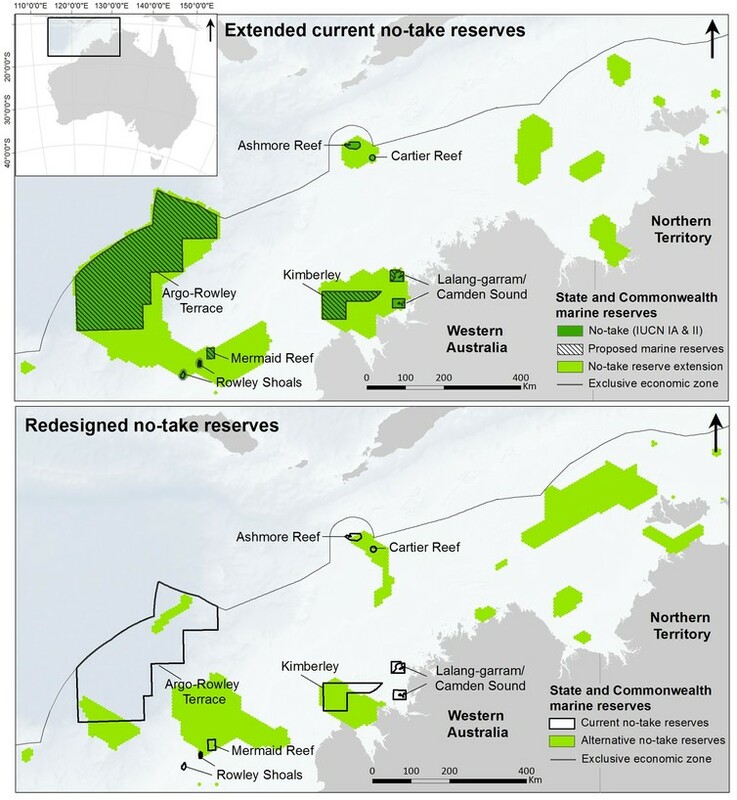 The review has restated the importance of no-take zones and recommended an increase in some of the reserves and a decrease in the Coral Sea. So will the recommendations appease the critics? Australia’s marine reserves as proposed in 2012. The review panels had a challenging job of balancing conservation with emerging uses of marine space. Planning marine reserves is far more complex than agreeing to protect a certain amount of our oceans. We don’t yet know a lot about ocean ecosystems. Researchers are trying to understand in more detail how marine species are connected and how they reproduce and feed in water and seabed habitats. Different species and communities have different needs and vulnerabilities. A precautionary approach would suggest protection of large areas. But this begs the question of whether it’s most effective or fair to stakeholders to close large tracts of remote ocean to all forms of fishing, compared (for example) with infrequent, often seasonal, surface trolling of open ocean species by commercial or recreational fishers. It is easy for planning processes to get caught up in a highly polarised debate between fishing and conservation interests. Part of the problem comes from a narrow understanding of benefits and impact, which focuses purely on numbers of people using an area and economic losses versus benefits. Focusing on these questions alone fails to recognise the important role that values, emotion and identity play in framing the ways people respond to marine reserves. For example, conservation groups have been perplexed by the opposition of recreational fishing groups to remote marine parks. Why would recreational fishers oppose parks that are well outside the usual fishing spots for the average fisher? Conversely, fishing groups often feel that their interests should be prioritised over the tens of thousands of people who made submissions in support of the reserves – many of whom may never visit these areas. A better understanding of why people fish, sail, dive, surf, do business, get involved in conservation campaigns and care about marine management will improve our understanding of what drives individual, group and community values and attitudes. We need to understand these emotional responses better before we can adequately evaluate the impact of marine reserves. Without these data available now, the review panel has recommended adapting to new knowledge as it becomes available. It remains to be seen how fishing and environment groups will respond to these proposed changes. But it is likely they will still spark opposition despite the huge amount of time and resources that have gone into them. How do you look after a remote marine park? Another problem with large remote marine reserves is the high cost of managing and monitoring them. Having people actively engaged in making use of these remote areas in low-impact ways can contribute to monitoring environmental health and discouraging illegal activities. Other cost-effective solutions include technologies such as vessel-monitoring systems (which automatically track and survey boats), satellite monitoring, remote instruments and voluntary citizen science. Along with the benefit of understanding how people use and value marine reserves, vessel-monitoring systems would increase safety and reduce costs of search, rescue and routine surveillance. While all Commonwealth-managed fisheries have these systems as a management requirement, most state fisheries do not. This is one example of the potential and the challenge of developing a coordinated system for managing and funding Australia’s coastal and ocean waters. Inshore areas and many fisheries operating in Commonwealth waters are state and territory responsibilities. Many of the impacts affecting remote marine reserves come from these coastal areas. So the success of the final zoning arrangements in achieving conservation objectives will require looking beyond state versus Commonwealth and fishery versus environment disputes. 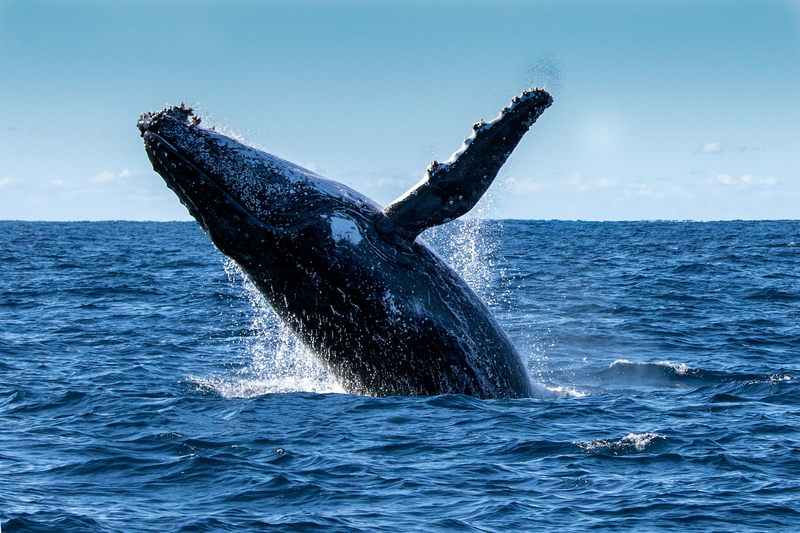 Humpback whales migrate along Australia’s coasts. Regardless of where you sit in this highly polarised debate, the final zoning of Australia’s marine reserves should not be seen as the end of the story. There’s growing interest in Australia’s “blue economy”. It is time to revisit the need for a national oceans policy – a partnership between states and the Commonwealth that addresses the complexity of managing our seas. The development of Australia’s Oceans Policy in 1994 came close. This was originally designed to address a range of issues, which included, but were not limited to, biodiversity conservation and the Commonwealth marine reserve network. Issues with negotiations prevented the policy coming to fruition. With the reserve network now close to completion, it is time to turn attention to the range of other challenges that lie on the horizon for our oceans. No-take marine reserves provide sanctuaries and reference sites for understanding our impact on marine environments and are part of the solution to sustaining them. It’s now time to move on, provide certainty for industry and stakeholders, and shift attention to the challenge of managing these reserves and the waters that surround them in a sustainable, productive and inclusive way. A great deal of work remains to be done.